Hey guys, this is a remote I had for over a year and I'm really pleased with the device it can replace to 8 remotes and has a huge library of compatible device. It's currently sits at 69.99 was at 99.99 previously. It offers a screen... Not a touch screen but navigating through your devices. The colour might be blend but I think you can't go wrong with this remote. I have a Harmony One. It is a touch screen. I love it. I had a 880 in my bedroom but it won't charge and the side buttons don't work. 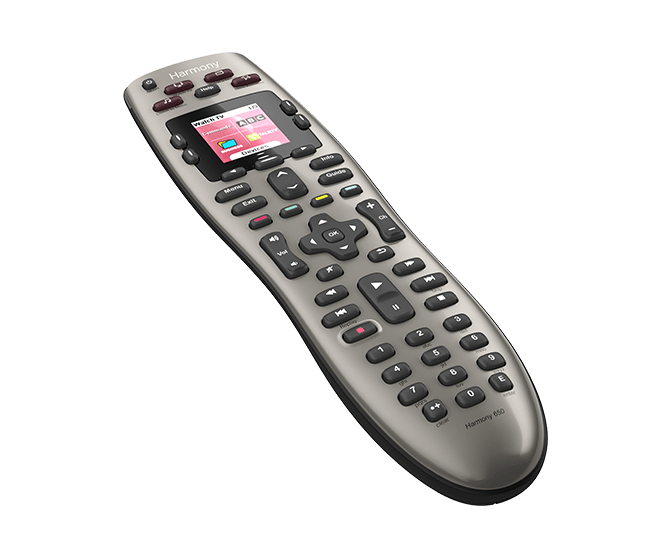 This is a bit of an aside but those soft rubber buttons on all types of remotes drive me bananas. After a while they always seem to fail on me where they have to be pushed super hard in order to work anymore. Is this just me? My Harmony 650 died hard last year. Replaced it with a Harmony Companion and prefer it so much more. Especially with the web enabled IR blaster, I can control everything through an app on my phone. I was all amaze with my remote and every one here has the high end model. I still like my 650 remote! I've been using this model for the past 5 years or so and the buttons are going on me. Picked up a new one today in the US for 34.99. I would like to switch to non-IR remotes but for this price it can wait. I had this remote for a number of years until it eventually died out and would not stay turned on, even with fresh batteries. Honestly I don't miss it much. It was cool to set one button to turn on all my equipment but for the most party now I just use my amp remote and tv remote again for power and use my Google Home to control almost everything else.